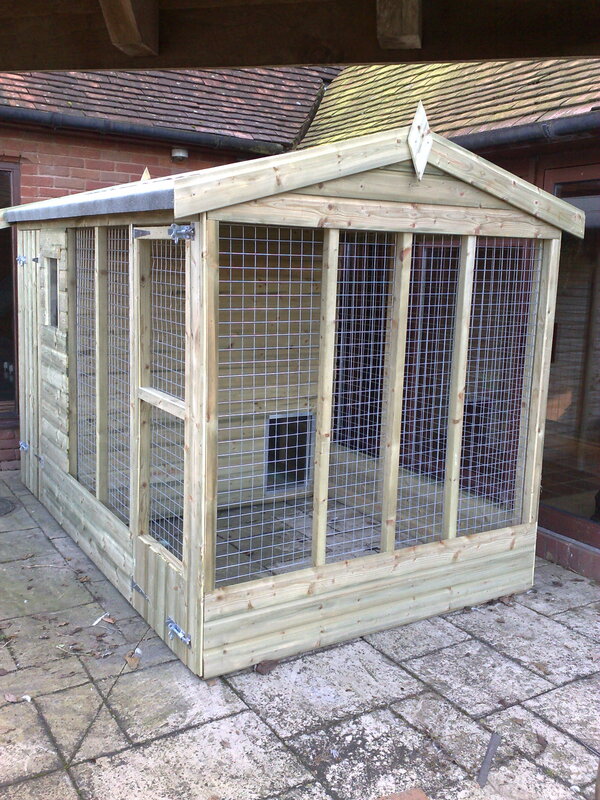 All of our dog kennel range is not only delivered free of charge, but also professionally fitted free of charge. Leaving you secure in the fact your new dog kennel has been correctly erected a strong structure ready to withstand the elements. A much better option than having a pallet arrive loaded with pieces of timber and poor instructions. We bought this as a secure home for our 2 ducks. It is fabulous, better than our expectations. Service was fast, efficient and easy. The quality is fantastic and is very well made its sturdy and completely fox proof, the doors and hatch are just the right size for ducks to get in and out of so this kennel is ideal for poultry and not just limited to dogs.